It has recently been brought to my attention that a Trader Joe’s is coming to town!!!! I’ll believe when I see it, but hopefully the rumors are true! (Not like that one I heard YEARS ago that an Ikea was coming to KC. Yeah. That never happened). IF the rumors are true, this will enable GFers (and healthy eaters) everywhere to eat a little easier (and cheaper)! Actually, April is Autism Awareness Month. And in honor of this, ChildServe (where Gav has all his therapies) has teamed up with Autism Speaks to host a 3 night film festival (all free and beginning at 7pm each night). April 27th, the documentary Autism: A Musical will be shown. I’ve seen this already and it’s really sweet. April 28th is Normal People Scare Me created by an aspiring film maker with autism when he was just 15. And The Sandwich Kid will be shown on the 29th. This is a film about siblings of people with disabilities. I’m planning to attend all 3 shows so if you’re in the area and would like to go, let me know! 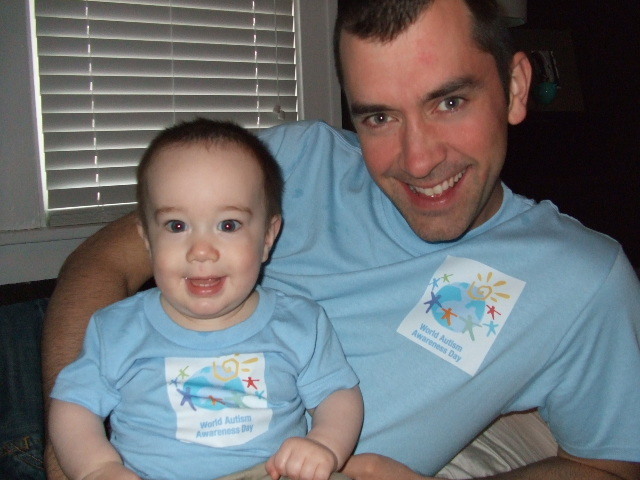 May 8th, our family will participating in ChildServe’s Run, Walk & Fun for the Kids. Josh is training hard to do the 5k and I’m shopping hard to find a good pair of sneakers (I.DO.NOT.RUN) Gav is so excited to “run a race at ChildServe”. 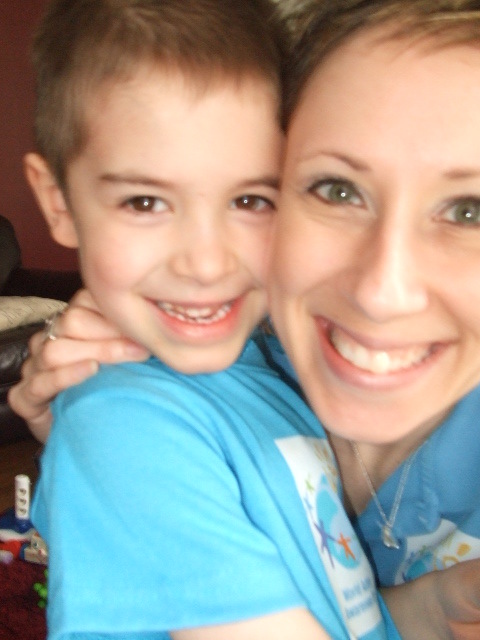 Seriously, I should let him run the 5K-this kid is AMAZING when it comes to running. He can go several times around a track and is usually up for more. Talk about endurance! June 19th is Walk Now for Autism at Valley Stadium. We weren’t able to do this last year because we were at the Autism Institute, but we’re definitely planning on it in June. I’m in the process of putting a team together so let me know if you’re interested. And, Gav’s speech therapist has recently introduced me to a new therapy that is being done at the University of Iowa in regards to neuromuscular training. She has a few students who are a part of the study and have had lots of good results. I’m in the beginning stages of research to see if this is a path we’d like to take with Gavin. Also, his speech and occupational therapists are going to begin auditory integration training with him in the near future. We’re totally aware that G has a heightened sense of hearing and this should “train his brain” to filter out some of the noise and be able to focus on what needs to be heard. (Hopefully this will also turn him down too-he’s EXTREMELY loud and struggles with volume control). Now we’re all dressed in blue with nowhere to go…….Liams little rash isn’t a rash……it’s chicken pox. See ya when we’re not contagious!